The rise of online book retailers and Print on Demand Technology have turned the book publishing world on its head, and transformed self‐publishing into a commercially viable option. Despite this, the cost of self‐publishing is still significant. My aim in this article is to show you how to spend your money wisely so that you can publish a book that you are proud of and that sells, without breaking the bank. DIY or Done for You? 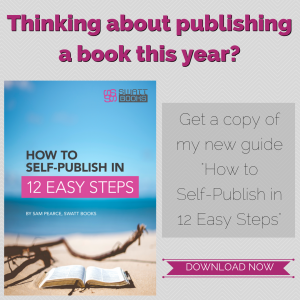 It is technically possible to self‐publish without engaging any professional support, but I would counsel you to think long and hard before going down this route. Writing your manuscript is only the first in a long line of steps that must be completed if your book has any chance of being successful. And many of these steps require either specialist skills or lots of time and patience. For example, do you have the editing, proofreading, typesetting and cover design skills needed? Do you have access to the appropriate design and typesetting software to create a file that is compatible with a commercial printer? Do you have the time to do all of this? Look for a self‐publishing partner who can trust to do as much or as little of the specialist legwork as you need. There are lots of people out there, and standards vary enormously, so make sure that you do your homework carefully before committing your precious cash. Do they have a book publishing track record? – Ask to see samples of books they have been involved with before making your decision. What do their customers say about them? — Ask for references and make sure you follow up with them before making a choice. What’s included and what isn’t? Ask for a detailed list of what they will do for you and check for any omissions or hidden extras e.g. Can they handle the conversion of your manuscript to eBook format and if so, is there an additional charge? Bespoke or One Size Fits All? A bespoke service means you only pay for the services you need. If you are looking to self‐publish on a budget, I usually recommend a blended approach where you do the bits you can, while outsourcing what you can’t to a professional. Choosing a selective outsourcing approach will usually save you money while ensuring that you maintain control of your book. Let’s look at each of the various self‐publishing stages to discover the places where you can save money without compromising the quality of the finished product. Many authors are reluctant to seek the services of a professional editor only to discover later that their book could have been so much better had they invested in it at this stage. Developmental editing — helps you to get the organisation and structure of your book right. Substantive editing — ensures that your manuscript is clear, accurate and readable. Copy Editing — checks spelling, grammar and style consistency. Proofreading — a final check that your document does not contain typo’s and meets typesetting specifications. While I recommend that you engage a professional editor/proof‐reader for the final editing as a minimum, you can keep their costs down by doing the initial editing yourself. In fact, I would recommend that you get as many people as possible to read through and comment on your manuscript, particularly around structure, and readability. Make sure you choose a wide cross selection of beta readers you trust for this purpose. Make sure that you include people who are representative of your target readership as well as others who are good at spotting typos and mistakes. Crowdsourcing such help isn’t as difficult as you might think. Tap into the power of your network and ask. Not only does this save you money but it also helps to market your book. Another place to find people to beta test your book is via Goodreads. If you haven’t already done so, sign up as a member and then look for the Beta Reader Group. There’s an old saying that goes “Don’t judge a book by its cover”, but when it comes to selling books, the cover design is incredibly important. That’s why I would always recommend that you pay for the services of a professional designer with book cover design experience. There’s a lot more to designing a good book cover than meets the eye, which is why it is the most commonly outsourced part of the self‐publishing process. The price of stock images can vary enormously, but there are an increasing number of companies selling high‐quality, copyright free, images at low prices. Ask your designer to limit their suggestions to low‐cost image options such as Shutterstock. But remember that stock images come with a usage licence that usually limits the number of books they can be used on, so keep in mind potential print runs. Explore the possibilities of bartering. If you have a marketable skill, it often pays to offer an exchange with your designer. Don’t assume they will say no, ask! Consider using one of the more reputable freelance bidding sites to find a designer who is happy to work at a lower rate, such as PPH or 99 Designs. I have seen some fantastic covers created by designers in overseas markets such as India and China. Just be conscious of any language or cultural aspects of your cover that could be open to misinterpretation, and make sure that you are VERY clear in your brief as to what you need with regards to final artwork specifications. Print Formatting: Traditionally known as typesetting, book formatting covers a range of skills including font selection, layout design, image sizing and heading and subheading structuring. Get this step wrong, and it could affect the feel and readability of your book which in turn can have a significant impact on sales. eBook Conversion: Transforming a print manuscript into one or more eBook formats involves an additional set of specialist skills to ensure that your book remains readable despite the different eBook reader screen and font sizes. Unless you have a strong grasp of HTML (Hypertext Markup Language) and understand the code requirements that make the various functions of eReaders work, I would recommend that you have this done by a professional. My advice would always be to seek professional help with the formatting of your book as it requires a specialised skillset that most authors don’t possess. I have worked with some authors who regretted spending hours formatting their own manuscripts only to find that they looked terrible when printed. Agree on the ground rules with your designer up front, especially for things such as layout and font selection. Ask for a sample of text in two or three alternative fonts and layouts so that you can see how it looks before you authorise them to format the whole file. A good designer will then take your chosen sample and turn it into a Master Template which will make typesetting the rest of the book quicker, and therefore cheaper. Colour printing is more expensive than black and white so, unless your book requires colour graphics to be understandable, consider restricting full‐colour printing to just your book cover. The size of your book will have an impact on the printing costs, regardless of whether you are printing using traditional Litho methods or using Print on Demand. If you are printing Litho, talk to your printer and ask them to recommend print sizes with less trim wastage as these will use less paper and therefore be cheaper. If you are opting for Print on Demand, take a look at IngramSpark’s Print and Ship calculator. It allows you to select different sizes and see how each affects the cost of your book. An ISBN number is an international product identifier used by all publishers, booksellers when ordering and selling books. It is also a legal requirement if you plan on selling your book through an official retail channel. ISBN numbers should be bought via an international book number agency. Nielsen is the ISBN agency for the UK and Ireland. You can buy ISBN numbers singly or in blocks. It’s MUCH cheaper to buy your ISBN numbers in a block. A single ISBN number currently costs £89 whereas a block of 10 costs just £149. Given that you almost certainly need at least two ISBN numbers per book (one for the print edition and one for the eBook version) you are already saving £29 on your first book, and you still have enough ISBN numbers for your next four books! I would recommend going with Ingram Spark as it gives your book access to all the main Amazon sites worldwide plus over seven thousand book retailers including Waterstones, Barnes and Noble, and Chapters/Indigo. It’s free to register a self‐publishing account with Ingram Spark, but there is a one‐off set‐up fee of $49 per book which includes both a print and eBook edition. All the above can be easily done by you, the author without having to spend any more of your cash. If you’d like to know more about what these mean and how to create them, IngramSpark has a great downloadable resource that walks you through each of the listing requirements and gives you some examples of what works. Most self‐published authors choose the print on demand route as it offers a unique blend of convenience and flexibility while keeping your initial outlay to a minimum. You just upload your manuscript and cover files in pdf format and the printer prints a copy whenever the customer places an order. Print on Demand also allows you to order an initial stock of books at cost price for your own use. 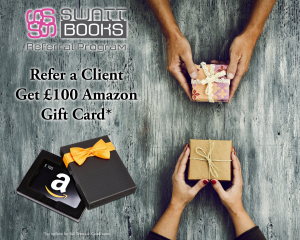 These could be for marketing purposes such as sending to reviewers, potential clients or for sale at the back of the room after a speaking engagement or through your own website. Don’t be tempted to buy too many copies; it’s better to order between 50–100 and then re‐order as you need them. Print on Demand is the way to go, and there are several options including Amazon’s CreateSpace and Ingram Spark. But pay attention to your shipping costs. If you are ordering more than a few copies, your books are going to be shipped by the carton, so it’s always best to order full carton quantities. That way you are not paying to ship empty space. Round up or down to the nearest full carton based on the number of books that you need. 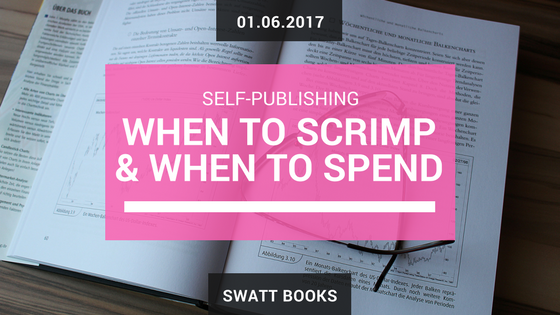 This is probably the most commonly overlook part of self‐publishing. Simply having your book listed on Amazon won’t bring a flood of orders to your door. The bad news is that you’ll have to do a lot of work to publicise your book, You need to draw it to the attention of potential readers before they will go and buy it! The question is how do you generate the invitations and opportunities to promote your book without paying for someone to do it for you? You’ll be surprised how helpful people are, but you need to remember to ask (and remind) them to do it! If are about to start self‐publishing your first book or are looking for help with your next book then check out the rest of my website and then get in touch to discuss what you need.